As the role of massage therapy in cancer care expands, it is an exciting time to provide oncology massage. In this intensive course, we combine the art and practice of touch to create safe, effective massage sessions for clients with cancer and cancer histories. In a lively, supportive learning environment, participants learn simple, concrete ways to adapt massage to cancer and cancer treatment. We look closely at the dynamics of cancer spread, shining new light on the old myth that massage was contraindicated, and we introduce several approaches for educating the public about this common concern. We then modify traditional western massage techniques for common client presentations, including surgery, radiation, chemotherapy, bone metastasis, vital organ involvement, and lymphedema risk. Unique positioning and bolstering techniques are introduced for pain relief, sleep support, and overall comfort. We introduce guidelines for a range of client presentations, from robust to medically frail. These guidelines may be used effectively in a variety of massage settings, including the hospital, private practice, spa or retreat center, franchise, and hospice. A balanced approach to learning blends lecture, spirited discussion, and hands-on work. In-depth homework is assigned prior to the course (instructional videos, about 3 hrs. total view time) and during the course (about 1 hr. of evening homework on days 1, 2, and 3). Massage therapists leave with essential oncology massage tools: massage guidelines, a client intake form, follow-up intake questions, a visual decision tree, clearly described pressure protocols, supervised hands-on practice experiences, and an extensive training manual. Graduation from a 500-hour professional massage therapy program or equivalent. Advanced massage therapy students who have completed pathology coursework and some clinical experience, by approval of the instructor – please contact Tracy Walton & Associates to see if it is a good fit. Other health professionals, also with instructor approval. After registration, you will receive a Student Packet by email that lists supplies to bring, a web link with the pre-assignment, and other course logistics. Cindy Gillan has taught with Tracy Walton & Associates since 2008. She has also been an instructor in an oncology massage internship program at Boston Medical Center. 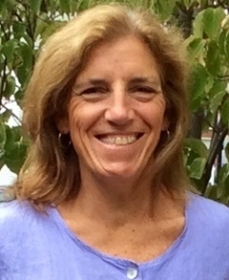 She is a licensed massage therapist and taught for 15 years at the Muscular Therapy Institute in Cambridge and Watertown, MA. Her work with people with cancer includes participation in NIH-funded massage therapy research. Cindy loves teaching, and brings her steady presence and sense of humor to each classroom experience. 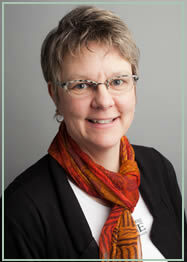 She holds a master’s degree in health care administration and has maintained a private practice since 1993. Her practice has focused on oncology massage, massage of older adults, and athletes. An avid runner and cyclist, Cindy is a regular rider and volunteer for the Pan-Mass Challenge, an annual fundraiser for the Dana-Farber Cancer Institute. Nanci Newton is a 1998 graduate of the Muscular Therapy Institute, and has taught with Tracy Walton & Associates since 2010. She has also been an adjunct faculty member at Springfield Technical Community College in Springfield, Massachusetts. Nanci has maintained a full time practice since 1998, and employs five MTs at her award-winning company, The Healing Zone Therapeutic Massage. There, the group offers oncology massage to the general public and provides massage for caregivers and patients at the Cancer Connection in Northampton, Massachusetts. In 2014, Nanci was named one of “The 100” honored by Massachusetts General Hospital who have dedicated themselves to making a difference in the fight against cancer. Nanci organizes oncology massage volunteers for the annual Pan Mass Challenge fundraiser. Her work was recently featured in Thrive magazine. She was an invited speaker at the 2016 Oncology Massage Healing Summit in Minneapolis. Nanci is a musician, juggler and dedicated just-for-fun runner in many annual fundraising events from 5k to half marathons.